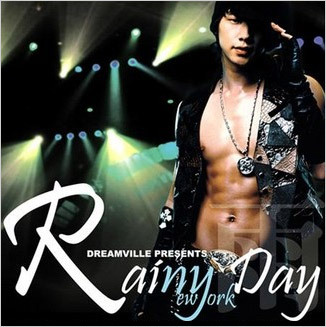 K-pop superstar Rain hopes to take Las Vegas by storm this Christmas season. He will be appearing at the Coliseum at Caesars Palace as part of his quest to make inroads into the North American market. The decision to stage the concert at the 3,800-seat venue is understood to have been made at Rain’s insistence. Of the many places that U.S. entertainment firms offered to the artist, it was where both Celine Dion and Elton John played that Rain thought he should kick things off. After the opener in Vegas, Rain’s world tour will span 35 performances. This time the artist has taken on some of the world’s top concert producing talent for this make-or-break tour, including stage director Jaime King, lighting specialist Roy Bennett, and visual director Dago Gonzalez. Online reservations at Ticketmaster (www.ticketmaster.com) have already begun. Seats range from US$98-$260. To get his blood pumping for his assault on the U.S. mainland, Rain will warm up to the always-affectionate home crowd with a serious of concerts Dec.15, 16 at the Olympic Gymnastics Arena in Seoul. doozy: Wah~ Why is the price so expensive?! Also, Christmas is such a busy travel time, especially in Las Vegas. Hmm… at least it’s in the States so there’s a possiblity.. This entry was posted in News and tagged Bi/Rain/Jeong Ji Hoon by doozy. Bookmark the permalink. i wonder how this went…??? i searched ticketmaster, but it doesn’t show any dates after this. anyway, hope he has a concert near you so you can go!! !